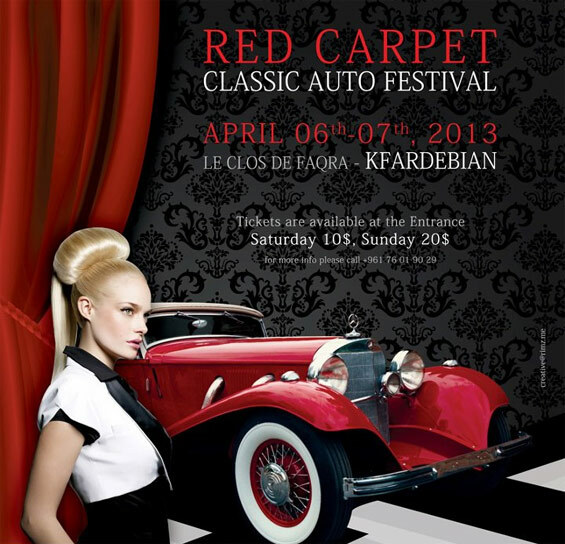 Xclusive SARL presents The Red Carpet Classic Auto Festival 2013 at the Temple of Adonis Faqra with the collaboration of the Kfardebian Municipality. On April 6 and 7, skileb.com team enjoyed covering a classic car and fashion show at one of the most luxurious and at the same time historic locations in Lebanon. This event was sponsored by Infiniti and Chateau Ksara (Wine Tasting). The location was simply enchanting, as we were surrounded by the snow melting mountains of Kfardebian and the music rocked the skies for a one-of-a-kind atmosphere. Xclusive SARL is an experienced Automotive Events and Media company that has been responsible for the most daring and creative automotive events in Lebanon. It is the company behind the fast growing “Arab Tuning” online magazine. Xclusive’s savoir-faire follows the company excellent relationship with drivers and owners of cars and motorcycles, in addition to a unique approach for topics and magazine articles.